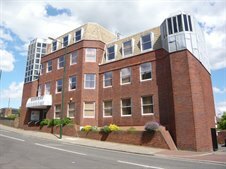 Cattaneo Commercial have been instructed to market an HQ office building in Teddington town centre comprising 12,160 sq ft (1,130 sq m) with excellent parking. The property is situated opposite Teddington main line station and is available from September 2016. For further information please contact Andrew Armiger (andy@cattaneo-commercial.co.uk) or Bob Cattaneo (bob@cattaneo-commercial.co.uk) on 020 8546 2166.